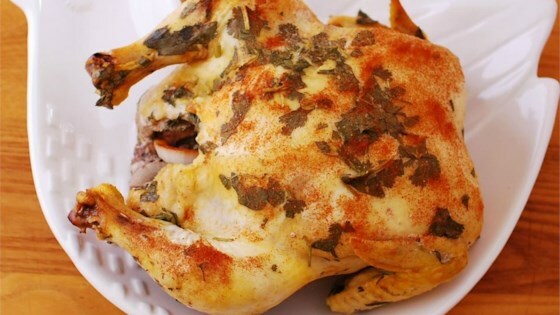 "Baked chicken in a slow cooker for busy people! Put the chicken on in the morning, and have golden brown baked chicken for dinner." Why do people change the entire original recipe? Why not just post your own recipe?